Water is the most important source of nourishment for human beings, it contains absolutely no calories and is rich in minerals. It helps our kidneys to function and can even help us to lose weight. Over the last few years, water has become a veritable “in” drink. 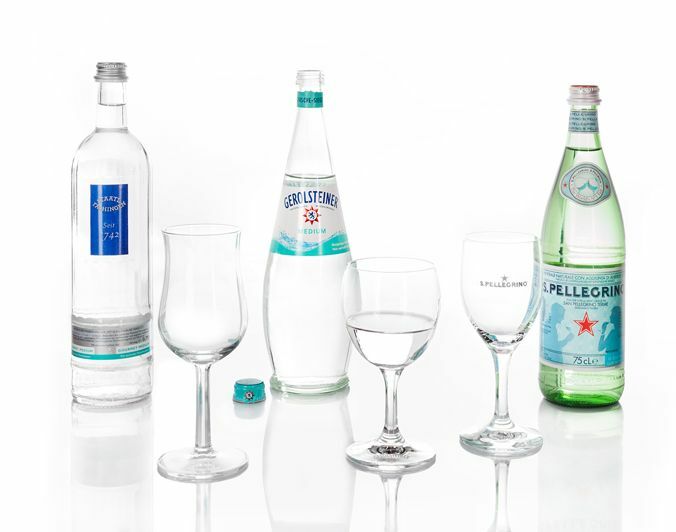 The triumph of non-alcoholic drinks can primarily be seen in the continuous expansion of the range of products surrounding non-alcoholic beers, mixed beer drinks, wines and sparkling wines, making it clear that the “non” sector is far from a deficit, but is instead perceived to be an asset for health, flavour and fitness – as long as it’s drunk from the right glass. You’re sure to find it with us!